A new research paper suggests that Americans are at far greater risk from flooding than official flood estimates suggest. The paper, “Estimates of present and future flood risk in the conterminous United States,” was published just recently in Environmental Research Letters. 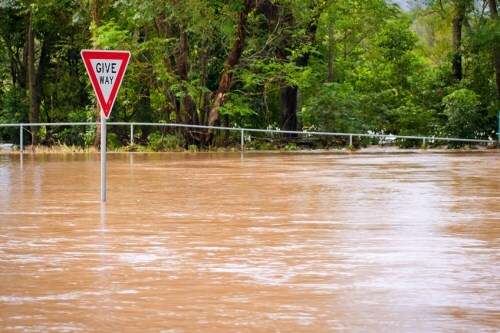 Led by Oliver Wing, a PhD student at the University of Bristol in the UK, the paper’s researchers sought to create a high resolution, national-level assessment of flood risk in America. Vox reported that the study is the first of its kind for the US. Although the Federal Emergency Management Agency (FEMA) maintains official flood maps, they are based on a combination of local maps “of varying age and levels of quality,” the researchers said, which share “notably poor coverage of smaller catchments” such as smaller streams. FEMA most recently estimated that about 13 million people are at risk. However, the paper’s researchers said that closer to 40.8 million people (13.3% of the US population) are currently exposed to a one-in-100 year flood. The areas of Louisiana, Arizona, and West Virginia are particularly exposed to flooding risk, the report said, but Florida is the state with the most to lose. Although Louisiana has a higher percentage of its land at risk (32% compared to 28%), Florida has more assets at risk – $714 billion, to be precise. Notably, the report also mentioned that California also has less land at risk but has a staggering $763 billion in assets at risk.